Naim NAC 202 review | What Hi-Fi? Naim is arguably the premier British high-end amplifier brand, and has got to that position by following its own path. Qualities such as transparency and stereo imaging have always taken a back seat to the all-important boogie factor. 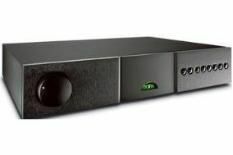 Naim's use of DIN sockets (because it thinks they sound better), minimal controls and austere appearance has earned it a loyal following, but also alienated many people who didn't buy into the philosophy. The NAC 202 preamp has two pairs of RCA sockets alongside the usual array of DINs, and two of the inputs can be configured as DIN or RCA phono input. A remote handset and sophisticated control system, including an RC-5 input for hideaway operation, are standard, and you can have optional RS-232 control connections for use in multiroom systems. There's also the provision to convert one input to unity gain, for use when running the preamp with an external AV processor, such as Naim's AV2 or simply the front channel preouts of an AV receiver. The usual Naim qualities also apply here: the styling classy but understated, the build is as solid as ever, and we've no doubt that this preamp will prove as reliable as any other Naim. And also take as long to run in! Once fully warmed up – which can take at least a week – this preamp combines with one of Naim's power amps to give a sound that's refined at the top-end and lacks any form of hardness. Detail resolution is right up to class standards and the presentation cohesive yet it's easy to follow individual instruments, even when the mix gets complex. Criticisms are few. The soundstage is reasonably wide but its depth isn't particularly impressive, and the sound can be a little mechanical, too, lacking the fluidity of the very best. However, spend a bit more on the NAPSC outboard power supply, rather than powering the preamp from a Naim power amp, and performance takes a major leap forward. This compact, featureless box only powers the preamp's control circuitry, leaving the power amp to feed the audio sections, but the gains are significant in all areas and the weaknesses cease to be an issue. We see the NAPSC as a must-buy, pushing the performance from good to great. And if you can afford to go to Naim's Hi-Cap power supply, the NAC202 would become truly magical.